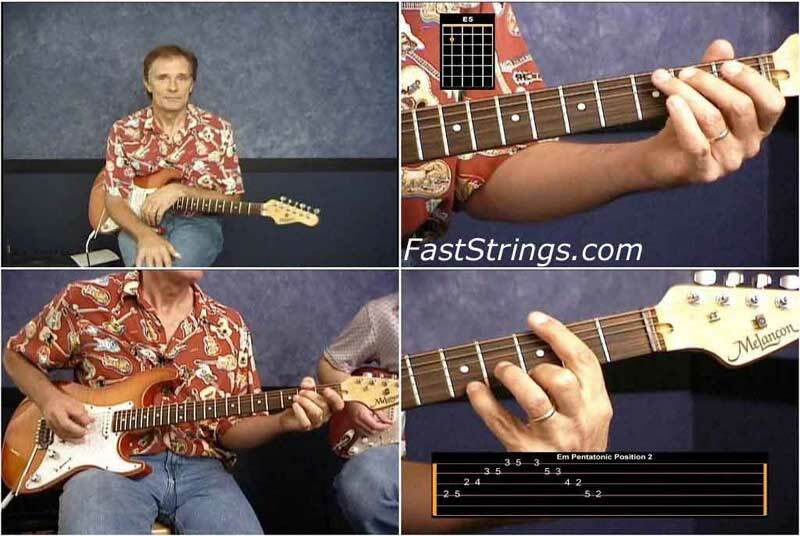 Greg Douglass is a versatile multi-platinum artist who has toured and recorded with Steve Miller, Van Morrison, Greg Kihn, Eddie Money and others.With over 100 minutes of instruction, numerous chapter marks for easy navigation and a fully interactive lesson library: Greg Douglass Lead Guitar is an entertaining and educational tool for today’s guitar player. This is the one for intermediate players, perfect for those who have plateau problems and want to go from campfire good to garage band/songwriting good in a few weeks. A normal intermediate player with working hands would find this dvd right in the sweet spot between too easy and too advanced. This is a great intro into playing lead guitar. It is easy to follow along with Greg. He explains different lead shapes and scales to keep you busy for a long time. Greg Douglass is an incredibly versatile multi-platinum atist who has toured and recorded with Steve Miller, Van Morrison, Greg Kihn, Eddie Money and others. Greg has appeared on over 75 albums and you can hear his guitar playing everyday on radio stations throughout the country. Thanks for Greg Douglass – Lead Guitar!